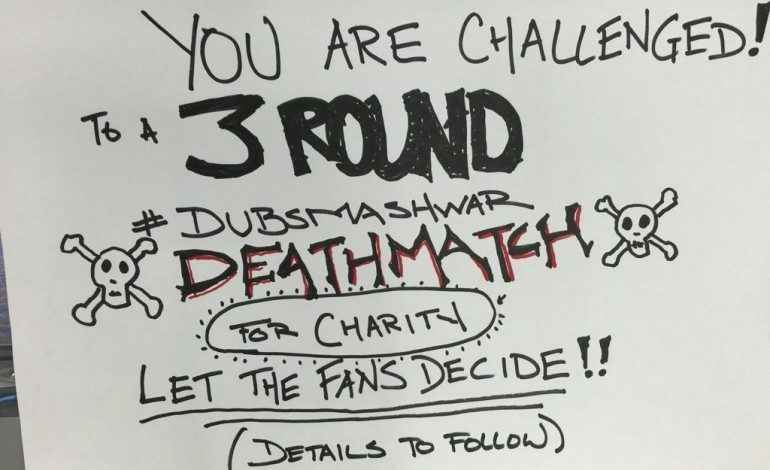 If you haven’t checked out the Marvel Dubsmash War for Charity yet you need to. Right now, because voting ends tonight at 11:59pm ET. Stop reading and watch these round 3 videos and go here to vote (each vote costs $1 which goes to charity.) I’ll wait. So far over $137,000 has been raised for the chosen charities with team Agents of S.H.I.E.L.D. leading by a nose over the Agent Carter team. For the uninitiated, Dubsmash is an app that lets you record and upload a super short lip sync video. Kind of a Vine/iTunes mashup. Sometime in midsummer Agent Carter’s Hayley Atwell discovered Dubsmash and instantly had a new outlet for her quirky enthusiasm. She played around on it with the likes of Billie Piper (Doctor Who) and Ron Perlman (Sons of Anarchy) before the Dubsmash War was born where the stars go to play: San Diego Comic-Con. When co-star James D’Arcy and Atwell recorded the “Oompa Loompa” song, fellow Marvel stars Gregg Clark and Chloe Bennett from Agents of S.H.I.E.L.D. decided to get in on the fun, posting their own “It Takes Two” Dubsmash. And the battle was on (the full early war can be viewed here). Consensus is the Carter stars won the summer war with a surprise appearance from Captain American himself, though the AoS effort, putting Gregg in Agent Carter drag was a good reply. Both teams recorded a video for each of three rounds and fans are voting for their favorite by donating a dollar or more. Proceeds go to charities selected by the teams – Stomp Out Bullying! on the Agent Carter side and St. Jude Children’s Research Hospital on the AoS side. The losing team also has to donate $2000 to the winner’s charity of choice and create a Dubsmash created, choreographed, and costumed by the winner. For fans, each vote automatically enters them into a sweepstakes to win prizes ranging from signed posters and DVD’s to lunch with the stars and an appearance in a Dubsmash vid. Each round has grown bigger and better with round 2 featuring a “Wrecking Ball” parody and a nice surprise appearance from Stan Lee and a stolen Lola, Agent Coulson’s prized Corvette. The whole thing has been a fun glimpse into the individual creativity and joy of these co-workers who seriously seem to enjoy one another. Most importantly, it’s great proof that they know how to take themselves lightly and how to be true heroes by giving back.